If you’ve been searching for local charities in Athens, Georgia, that are in need of donations, consider donating to American Kidney Services. 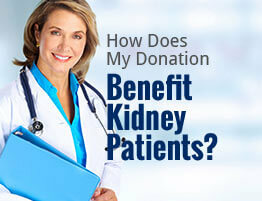 Our charity accepts contributions from generous donors like you and gives all net proceeds to the American Kidney Fund. The American Kidney Fund is a renowned nonprofit organization that helps patients with renal disease pay for essentials, including prescription medications and transportation to and from treatments. One of the many benefits of donating to local charities is getting a charity tax return. As a registered 501(c)3 charitable organization, American Kidney Services can offer you a receipt as proof of your generous contributions when you donate any of the items above. To learn more about what sets American Kidney Services apart from other local charities in Athens, GA, contact us today.